As we start the new year, it is important to check in with our long-term goals. A question that students and parent often ask is about what they should be doing to get ready for college. I hope that the checklist below can help you set priorities and stay on track! Keep your grades up! No matter how you did first semester, you have a new start at the new year. Do your best to get the most out of your classes. Make study groups, attend library tutoring, and get to know your teachers. What you are learning right now provides the foundation of your education at Chaffey and beyond, so push yourself to do your best. Explore clubs, athletics, and other extracurricular activities. Part of what we do in high school is discover what we love doing and what we care about in our community. 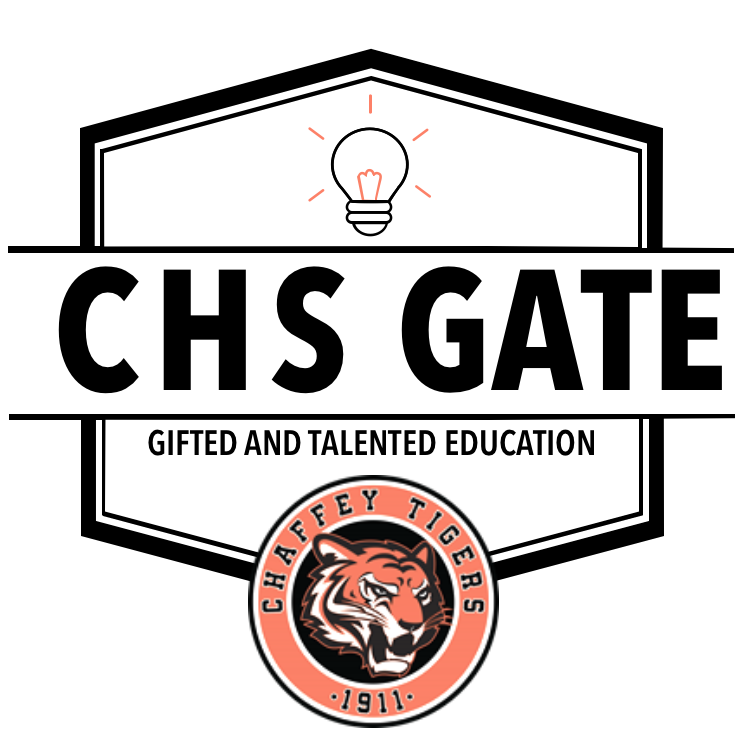 Chaffey has so many ways to get involved! Be sure to listen to announcements and ask your teachers about awesome things to do on campus. Twitter can also be a great resource; follow Ms. Martinez, ASB, Chaffey Counseling, Mr. Helper, Link Crew, me, and others to get connected. Buid your skills: Read, read, read! Reading widely and deeply will prepare you for any college experience. Reading excellent fiction and non-fiction improves your vocabulary, grammar, and composition skills, but, perhaps more importantly, reading builds empathy and understanding. You are in high school now, so it is time to move out of Young Adult fiction and into the world of literature. Read this page for some useful reading lists, and get started! Plan for next year. Start thinking about AP classes and interesting electives for your sophomore or junior year. Talk to your teachers, counselors, and friends for advice. Also, if you took the PSAT, be sure to look at the College Board score report for your AP potential. Ask your counselor if you need help! Visit colleges: In addition to the tasks above, second semester sophomore year is the perfect time to start visiting colleges. See the post here for ways to find colleges and check out the five worth the drive on this page. To visit a college, go to the school website, locate the admissions pages, and look for information about high school visits. Every site looks a little different, so think like a detective and dig around. You can call the admissions office and schedule a tour. Get a parent to take you and your friends to as many colleges as possible over the next three semesters so you have plan for applications your senior year. You should have three main goals this semester: SAT/ACT preparation, excellent grades, and visiting colleges. See details above for help with these goals! SAT and SAT II: Be sure to take the SAT toward the end of the semester and take any SAT II tests that colleges may require. To find out what tests you need, look at the admissions requirements for the colleges you plan to apply to next year. Be sure to read carefully! Here is a list of colleges that require SAT II exams. Remember, some majors at UC’s and CSU’s require the SAT II’s, so if you miss them you may miss out! Application Overview □ Online application□ Need transcript and personal records. □ Online application□ Need transcript, personal statements, and personal records. □ Depends on school□ Many accept online common application. September □ Register for any additional SAT’s, SAT Subject Tests, or ACT’s. See www.collegeboard.com and www.actstudent.org/ for online registration.□ Get a copy of your current transcript from your counselor. □ Research colleges and make lists of admission requirements. □ Visit campuses where you plan to apply. □ Schedule tours and interviews when available. □ Gather important documents: tax records, Social Security or Tax Identification number. □ Make sure that your name on your Social Security Card or Tax Identification number and transcript match. If not, visit registrar immediately and make corrections. October Applications open October 1.□ See website below for online applications and admissions requirements. □ Collect tax information from previous filing year for fee waiver application. □ Prepare personal statements.□ See UC website below for current personal statement requirements. □ Review application information and advice on UC website below. □ E-mail schools to request application materials.□ Contact teachers to ask for their recommendation guidelines. □ If you haven’t already, schedule campus visits and interviews. FAFSA and CSS Profile applications open! Be sure to attend FAFSA workshops throughout October and November to get help with this important application! Visit http://www.fafsa.ed.gov/ to get your PIN for your financial aid/Cal Grant application. November □ Check your e-mail daily. If there is an error in your application, the school will contact you for revisions.□ Send remaining test scores through College Board and ACT. □ Acceptance letters are sent via e-mail and some may arrive as early as November. You will not be notified on paper of your acceptance to a Cal State. Applications open from November 1 to November 30.□ See web site below for online applications and factors that influence freshmen applicants. □ Collect tax information from previous filing year for fee waiver application. □ Make a calendar of all independent school deadlines. They may range from January to April.□ Continue to visit schools and schedule interviews. □ Many schools offer overnight visits and preview days. Check web sites for details. December □ Create an account on each school’s website and check your campus e-mail frequently.□ When you receive acceptance letters, begin EOP applications and ask for teacher recommendations. □ All schools have different EOP deadlines and applications, so visit individual university websites. □ Send remaining test scores through College Board and ACT. You will not be considered until schools receive confirmation of your scores.□ Rest and check your e-mail daily. □ Prepare essays.□ Give teachers and counselors recommendation forms. □ Send official semester transcripts to every school to which you applied. Visit the records office in North Hall to request transcripts.□ Submit EOP applications. □ Visit campuses. Send official semester transcripts to every school to which you applied. Visit the records office in North Hall to request transcripts. □ Continue applications.□ Submit financial information. Many independent schools require a CSS Profile in addition to the FAFSA. Check website below for deadlines and guidelines. Each school has a different due date. □ Complete the CSS Profile (for specific colleges) and the FAFSA if you have not already done so. February □ Continue to check your e-mail daily for any follow-up paperwork.□ Check your Financial Aid Award on school’s website. □ Continue to check your e-mail daily for any follow-up paperwork.□ Visit campuses. □ Continue to check your e-mail daily for any follow-up paperwork.□ Visit campuses. March FAFSA due March 2. □ Attend prospective student weekends and take your family to see your possible campuses.□ File housing and work study applications. □ Continue to check your e-mail so you don’t miss anything! □ UC’s begin mailing acceptance letters. Check your snail mail every day and go to each school’s website to see notification dates and procedures.□ Attend prospective student weekends and take your family to see your possible campuses. Send official semester transcripts to every school to which you applied. Visit the records office in North Hall to request transcripts. Receive and review financial aid and scholarship awards. Where can you get help at Chaffey? I need help with: Where can I go? How can he or she help? o Ongoing: Ask Ms. Cortez for details! · Watch for special presentations at ROAR and evenings. Be sure to check your School Loop email for announcements. · Make an appointment with your counselor to discuss your options. Applying for summer programs · Check with your counselor and see the website mentioned above.· Stop by College Knowledge on Monday afternoons to get help with applications. · Counselors and the Career Centers have flyers up for all sorts of programs. Stop by and check the bulletin boards for updates!